A natural math whiz with a penchant for people, David Cole is a great person to turn to for your accounting needs. As a partner and CPA here at Grand Strand CPAs, we’re proud to have David on our team and serving our community. As a dedicated accounting specialist, David stays active in the accounting community and educated about all the latest money matters. He has served as the president of the Grand Strand chapter of CPAs, and he continues to be an active member of the organization. He’s an expert in local accounting regulations, but even if you’re not from the area, David can be a great help to you in your accounting needs. A member of both the American Institute of Certified Public Accountants and the South Carolina Association of Certified Public Accountants, David is in-the-know on a local, state, and national level. David’s passion for math isn’t his defining feature: he’s also passionate about people. 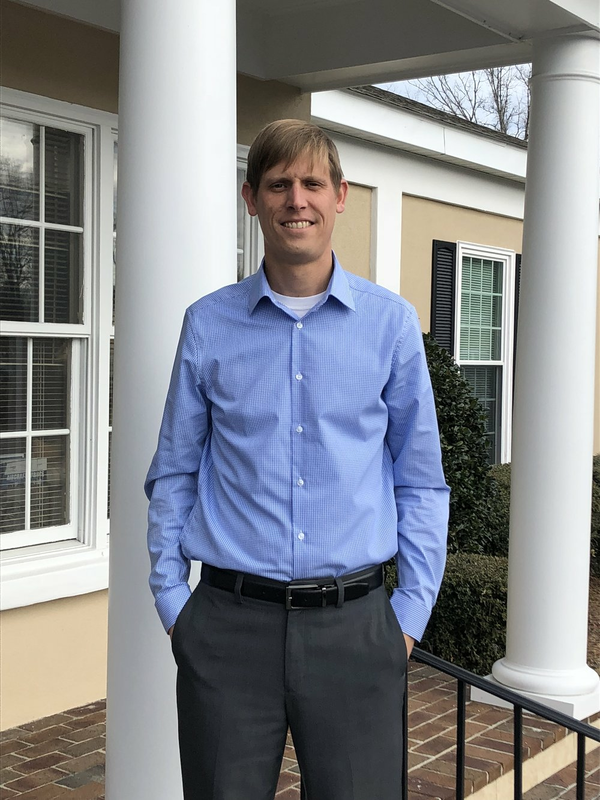 His favorite aspect of the job is being able to help people one-on-one with their tax strategies, and the best part about working at GSCPAs is family-like atmosphere of the office. Not only that, he’s a member of the century-old service organization, Sertoma, and you can often find David out in the local community giving back to the people that make Myrtle Beach such a great place to live. You might not know it, but David even brings his dog Tank to work every day! When he’s not out playing with the doggo, you might find David noshing on Mexican food, catching the waves on a surfboard, or kicking a soccer ball around in the gorgeous Myrtle Beach sunshine. David is one of the top accountants in Myrtle Beach, South Carolina, but there’s so much more to this active and enthusiastic local. Come by and meet him and Tank some time—you’ll be glad you did!